Altho' I am no more a fan of Ch. 5 News since it was taken over by the Rupert Murdock of Belize, Aschroft, making Ch.5 the Fox News of Belize, I strongly disagree with the government boycott and censorship of any media outlet. Since Ch. 5 was purchased by the Ashcroft organization, the news is definitely and obviously anti the UDP administration, it got so bad that I stopped watching that channel because of the obvious bias it was espousing. The news anchor would have a snicker on her face when commenting on anything regarding the current administration, exactly what Fox news does. That is unfortunate and does not in the end help the national discourse which is so essential in a democracy. On the other hand, the Government cannot be so"touches" as we say in Creole, and try to stifle news that is not complimentary to them. Belize is not Venezuela, or Russia, or Cuba, or China, where dissent is not allowed. We are a Democracy with a small d, but a democracy nonetheless, and in our society everyone is allowed to give their opinion, even if it is not the one we share. There will always be dissent, but in the end, the truth will always be. So lighten up Mr. Minister of Communications, and let the dogs of war run free. It is better to go into the lions' den and tell your part of the story and let the people decide, than to have your story told for you by those that don't share your points of view. In the end, everybody wins, and again, the truth will always be. I fully agree that freedom of the press is a must, but owners of media must also remember that they have a social responsibility to the people of Belize. no individual media house is to disrespect the government so that the political party it supports shall gain political ground. Additionally, Channel 5 was biting the hands which was feeding it. The Government did right in cutting them off from equal treatment to those media houses which stay neutral or tread a thin line. Come on people; be fair! I agree that the government should not censor the news in Belize. We are about "Freedom of the Press". If the PM finds that he can't agree with Channel 5 that's fine, but he should not try to let his enemy be the enemy of the people. You know, I watch all the news in Belize; Channel 7, Channel 5,Love TV,and Plus TV, and Channel 5 is certainly not fair nor balanced. I too believe in freedom of the press. But why does politics have to be so toxic? They are one and the same, UDP and PUP!! Same dishonesty and shenanigans going on. No tyrants here linger, despots must flee!! We are the suppose to be the tranquil haven of democracy. I am a citizen of Belize living in the US, but I closely monitor the news in Belize. I am shocked of the behavior of the prime minister. The USA elected it's first black president and Belize it's first black PM, but it's so sad and frankly upsetting to see that Belize is becoming a dictatorship country. What is Mr. Barrow afraid of? Maybe it's his incompetence? But as you say, let the people decide!!! I hope that Belizeans will choose freedom in 2013. Freedom of speech baby.Let it be. 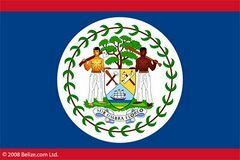 Is BELIZE gonna be called Democratic Belize or Dictator Belize.Let the people decide before it is too late.